Sculptural ObjectsRob Millard-Mendez is a maker of sculptural objects. His work often employs high craft but it is also process-oriented and rich in conceptual depth. 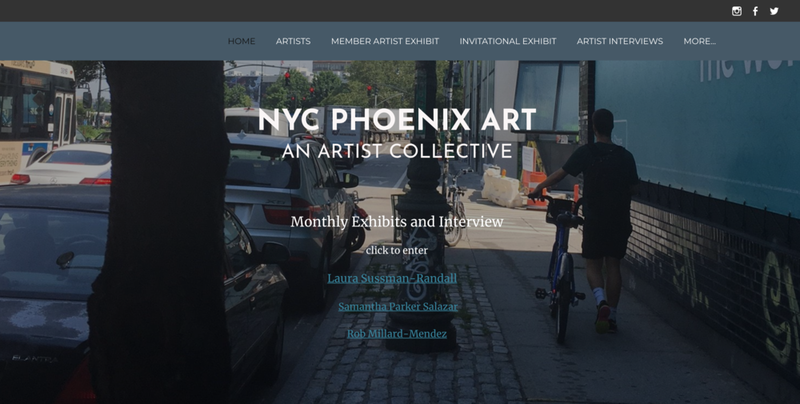 Millard-Mendez earned an MFA in sculpture and continues to hone his skills working under the tutelage of some of the world's premiere fine artists and craftspeople. This recent sculpture won a Juror’s Award in the 2019 Regional Juried Exhibition at Artlink in Fort Wayne, Indiana. Thank you to Indiana Museum of Contemporary Art (Indy MOCA) for selecting me to be a featured artist on Instagram. It was a lot of fun! This is a recent piece, Sacrificial Zone Mask. It is currently on view at the Evansville Museum of Art, Science and History in Evansville, Indiana. It is in the Mid-States Art Exhibition, which is a competitive, regional, biennial exhibition. I live in southern Indiana, a region with a large number of coal plants and poor air quality. 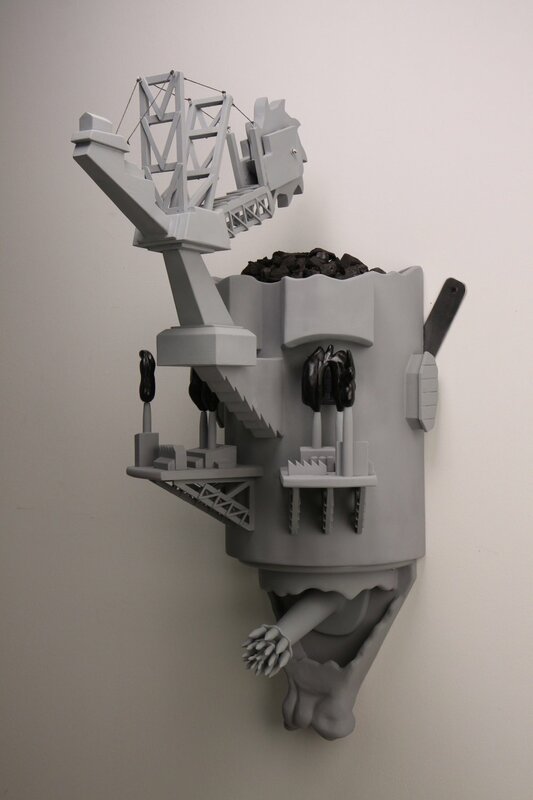 This mask sculpture incorporates architectural and machine forms that derive from the coal industry. The structure at the top of the piece is based on a mammoth mining machine, the Bagger 288. The sculpture is 42”h x 28”w x 29”d. The media in the work are wood, paint, coal and string. I have been influenced over the last few years by the work of George Lopez. The honesty and economy of his forms make his sculptures memorable and powerful. Building Bridges: Constructing a Movement (pictured above), was inspired by the Women's March and the narrative work of carvers like Lopez. The piece was first exhibited at Studio Place Arts in Barre, VT in a show called Under Construction. Indiana State University acquired this piece for their permanent collection.